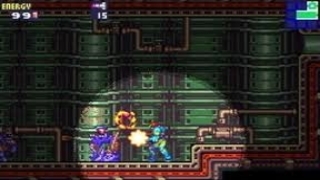 Metroid Fusion is a direct sequel to Super Metroid and was the last game in the long-running Metroid series to use the tried and true gameplay formula that was around since the start of the series. Metroid started off good on the NES and its second entry on the original Gameboy was just as good, however it wasn't until Super Metroid was released for the SNES that the series became one of Nintendo's hard-hitting franchises, but how does Metroid Fusion compare to Super Metroid? Keep reading our review to find out! 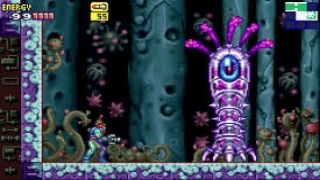 In Metroid Fusion Samus gives the last surviving Metroid as well as other wildlife from the worlds she had visited to a special space colony, but soon she finds herself with a nasty mutative virus that has fused her with her armor and transformed the biological life on the colony as well. She must regain her suit's power that was stolen by the virus and defeat the source of the virus in order to prevent an intergalactic outbreak! All of this is just in the first five minutes of the game. There are some twists and turns later in the story, but overall it's fairly predictable. The story usually takes a back-seat to the gameplay, but what's there is a quite polished and enjoyable story. The gameplay in Metroid Fusion is fairly linear when compared to Super Metroid which some people might find off-putting, but the game is quite lengthy and the action is as enjoyable as you'd expect from a Metroid title! 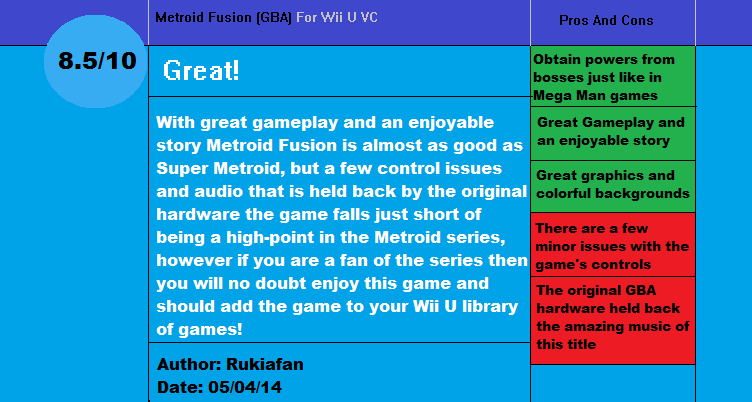 You start off with no upgrades as usually is the case in a Metroid game, but there's a twist this time around! Instead of finding most upgrades laying around you must fight bosses to recover most of the most important power-ups and upgrades in the game. 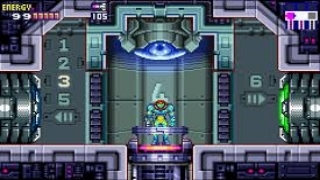 The locked doors also require to be opened by switches rather than being blasted by missiles or other power suit items. The gameplay itself though is the same as ever and with plenty of exploration and action you'll rarely feel bored with the game! The bosses are quite difficult this time around so you should expect to be challenged especially late in the game. The controls are fairly smooth and work quite well, however it can be tricky to aim diagonal shots downward due to the way the game is designed, but overall the controls are pretty good. I would suggest using a Wii Classic Controller Pro or a Wii U Pro Controller for the best responsiveness! 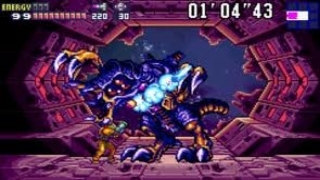 The backgrounds and character models are quite impressive when compared to Super Metroid when pixel perfect mode and pixel smoothing is enabled in the VC options for the game, but even without the resolution fix and smoothing the game looks fairly nice for a GBA title. There aren't too many areas in the game with large clunky pixels and the issue is virtually non existent when the smoothing option is turned on, the game is very colorful and much more pleasant to the eyes than the rather dark and drab Super Metroid which is a very good thing. 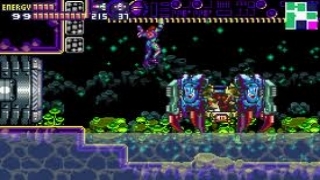 The special effects are also quite flashy and impressive and the varied backgrounds of each of the eight zones look incredibly nice for a game of Metroid Fusion's age! The sound is very good for a GBA game, but it still suffers from the handheld's original audio limitations. The music for instance is better than Super Metroid's, but the sound quality holds it back. Overall the the audio in the game is quite impressive! Sorry for the delay, The Legend of Zelda: The Wind Waker HD review is up next! Couldn't agree with the score more. Now I'm going off the original though as I have this already on 3ds. Other then the pixel smoothing I don't see a need to get this again. This just makes me long for another 2d version of the series on my 3ds. Just think how good it could be. Fingers crossed for a Metroid surprise announcement at E3! Although I'd prefer a new Prime style I'll just take anything at this point. You made several valid points about the game and I agree with all of them. This could have been the best Metroid game if not for the limitations of the hardware it was released on. Good review boss man! Great review. I need to download this once I beat some of my other vc games. Yet another game that I'll need to download sometime. Beautiful review as always Rukiafan!